"This family domaine of 9ha located in Chavignol can trace its history back to 1380. The land records for that year mention a Jean Boulay as owner of vineyards in Chavignol. At the time, the Clos de Beaujeu in Chavignol was already known for the quality of its white wine which is remarkable since Sancerre was known as a red wine area until after phylloxera. In the 14th century the Clos de Beaujeu supplied the Cathedral of Bourges with white wine. 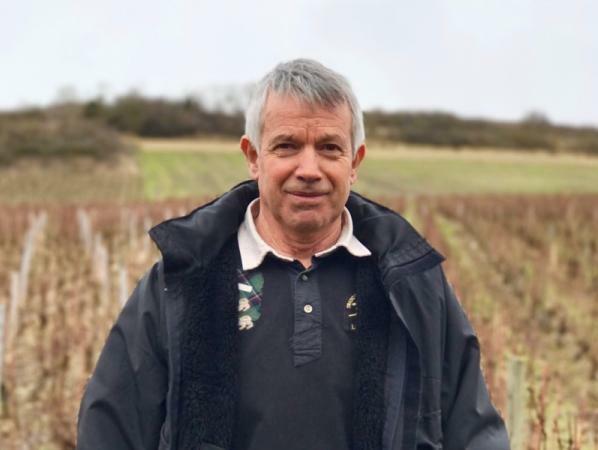 Of the 9ha owned by Gerard Boulay, 8 of the hectares are on the slopes of Chavignol on Kimmeridgian or "terre blanche" soils (similar to the soils in Chablis), which he works manually and has farmed organically since 1990. The youngest vines at the domaine were planted by Mr. Boulay in 1972 and the average vine age is approximately 45 years old. The wines ferment naturally in tank and with the exception of the Chavignol tradition which is also aged in tank, the parcellaire wines are aged in in a mix of Foudres and used 300L barrels. Gerard adds no yeast and little to no SO2 during vinfication. He describes his role as one of "surveillance" to make sure nothing goes wrong. In general he works by instinct, "au feeling" because he wants to "let the wine live" and tries not to interfere with the natural process. "C'est la nature qui fait le vin" (Nature makes the wine). Overall, Gerard Boulay's "terre blanche" vineyards produce some of the most distinctive and soil-inflected Sauvignon Blancs in the Loire, with a delineation and minerality often reminiscent of a top Chablis. Boulay is certainly among the top examples of the appellation, including Boulay's neighbors (Cotat Bros., Vatan). These are gorgeous, highly complex wines that are a clear step above "regular" Sancerre, and can age easily for 10-20 years or more. In fact, we have had them all the way back to the 1959 which was magnificent! They confirm Boulay's place in the top ranks of Loire Valley vignerons."